This past weekend we took Amber to Omaha for soccer camp at UNO. 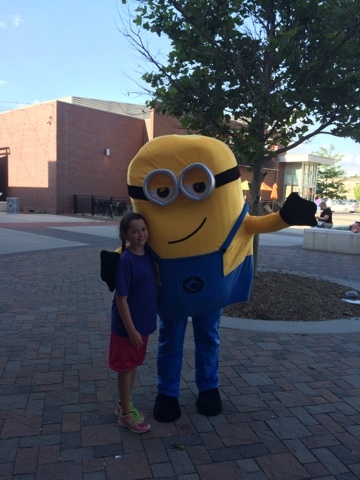 While we were there we went out to eat and a Minion just happened to be walking by. 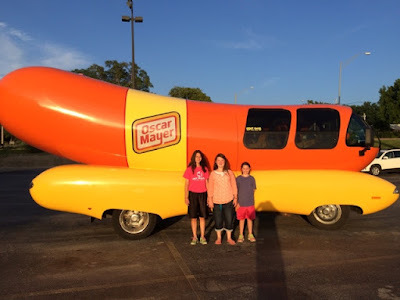 Then we saw the Oscar Mayer Hot Dog car. I guess this wasn't exactly wordless! !